The Casa Adobe de San Rafael is an 1865 hacienda-type adobe built by Tomas Avila Sanchez and Maria Sepulveda. 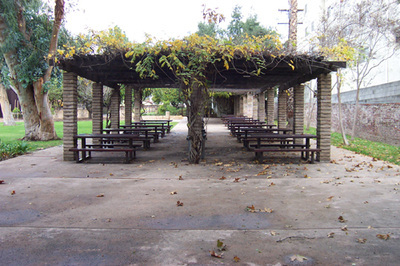 The Casa is located in the Verdugo-Viejo Neighborhood of Glendale on 1330 Dorothy Drive (91202). ​The Casa Adobe is located on a section of the original land grant to Jose Verdugo. Tomas Sanchez married Maria Sepulveda, who was the step daughter of Rafael Verdugo de Sepulveda. 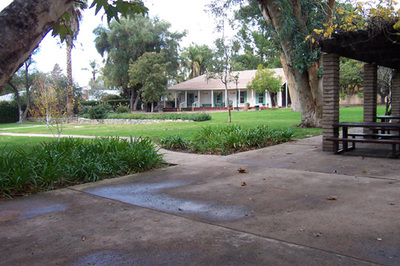 Maria was given 100 acres of land from her step father and she and Tomas built this adobe which was located about a half-mile from the original Verdugo Adobe. 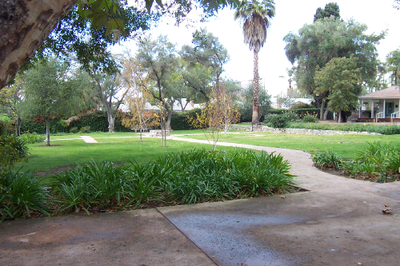 Today, the land on which the original Verdugo Adobe stood is the site of Hoover High School. A long line of trees bordered the road that separated the two adobe sites. Tomas Sanchez was the first sheriff of Los Angeles and was a very popular man around the area. Tomas was a third generation Californian and he was the executor of his grandfather's and father's estates. 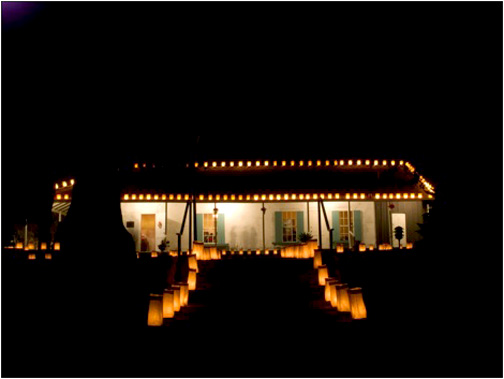 These included houses in the Plaza Olvera and at the Rancho de la Cienega. Records show that this adobe was completed in 1871, which is the year Tomas and his family moved into the Casa Adobe. Tomas resided there until his death in 1882. 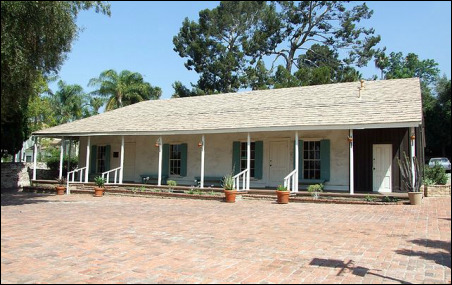 Maria and her family lived at the Casa Adobe for several more years before she lost it and sold her holdings (all 100 acres) to Andrew Glassell for $12,000 and moved back to Los Angeles. The Casa Adobe passed through many owners in the ensuing years and some additions were made. However, the property reached its lowest ebb in the late 1920s. Compelled by the action of women in the Glendale community raising awareness of the plight of the Casa Adobe, the City of Glendale purchased the property in early 1930s. One of the greatest assets of the Casa Adobe and its gardens was the beautiful, large eucalyptus trees that shaded the grounds. The trees were grown from seeds that were a gift of Phineas Banning who had received them from a missionary that brought them from Australia. The San Rafael Association was formed and the City of Glendale appointed Mrs. Hazel Hansen as curator of the Casa Adobe. Through the efforts of this group, the furniture found in the Casa today was either purchased or donated, and reflects the late 1800s lifestyle. In the SALA (or parlor)... The sala is unusually large for such a small adobe home. The Sanchez Family was well known and did much entertaining. The mirror over the piano belonged to the Mexican Governor Pio Pico and was donated to the City of Glendale. The upholstered chairs and sofas were donations and purchases from movie studios in the area and were repaired by the City of Glendale. The Fanny Briggs Carr desk was given to the City by her brother. Mrs. Carr left her estate to the City and it is now Carr Park. This desk is one of four known of its kind in the U.S. Mrs. Carr used it in her cosmetic business as well as a post office. The beautiful cabinet is for special displays. 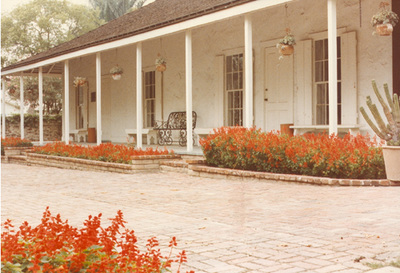 The cabinet and marble-topped tables were gifts made to the Casa Adobe. In the SALITA (or small parlor)... The salita was used as the living room in the winter months. Here the family gathered for their meals and family life. The fireplace is typical of the period. The high-back chairs and round tables are set in the manner of the times. The leather chair is a gift from an old family in the City of Glendale and reflects the early period of the Casa Adobe. The mantel clock once belonged to W. K. Kellogg of the breakfast food fame. In the Bedroom... The bedroom is beautifully furnished in keeping with the style of the 1880s. Above the wash stand are simple religious artifacts, which were found in every hacienda that did not have a chapel attached to it. Religion played a large part in everyday life. The screen was used to hang their clothing and for privacy in dressing. Clothing was also hung in doorways as homes did not have closets. The comfort set - wash basin, pitcher, and chamber pots - reflects the lack of running water and bathrooms. The sewing machine was made in Connecticut in the 1840s and came around the Horn to California. It sews from left to right. The dresser and armoire are fine examples of the period furniture in the Casa Adobe. The Trunk belonged to Maria Sanchez and is the only authentic piece of furniture from the Sanchez family. It was built strong and sturdy to withstand the journeys necessary by carreta (wagon) and horseback. The Indian Rugs are also fine examples of this period. In the Exhibit Room... Artifacts in this room have been collected in the past few years and represent the many little touches that make a house a home. Tomas Sanchez was a retired gentleman when he moved in the Casa Adobe and the atmosphere of the Adobe reflects the home life of a family in this period. Each room opens onto the ramada as very few adobes have interior hallways. The doors also let in the warm air to heat the rooms. In 1935, the Cub Scouts from Columbus School built and donated the benches on the ramada. The Organ was an early gift and some day we hope to have it restored. In the Summer Kitchen... 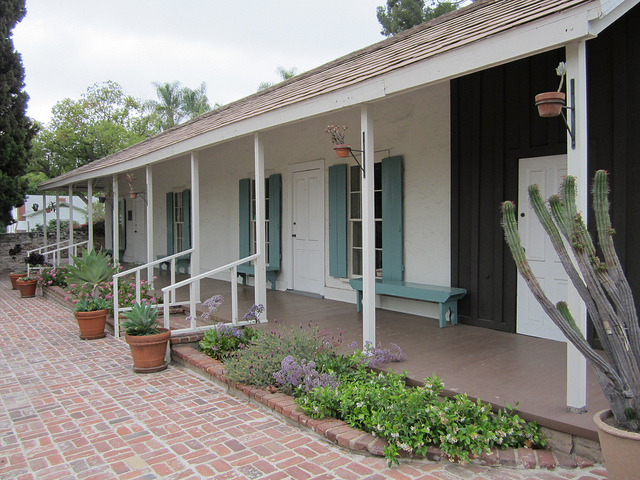 The summer kitchen has been closed and made more useful for the promotion of the Casa Adobe. Glendale Beautiful acting as the Advisory Committee for the Casa Adobe hopes one day to furnish the room as an authentic kitchen of the period. Chairs... There are many chair in the Casa Adobe that have been given as reminders of the past. The Carpet-Covered Chair in the bedroom, the Cradle Rocker in the Salita, and the cane bottom chairs are all excellent examples of the furniture of the time.